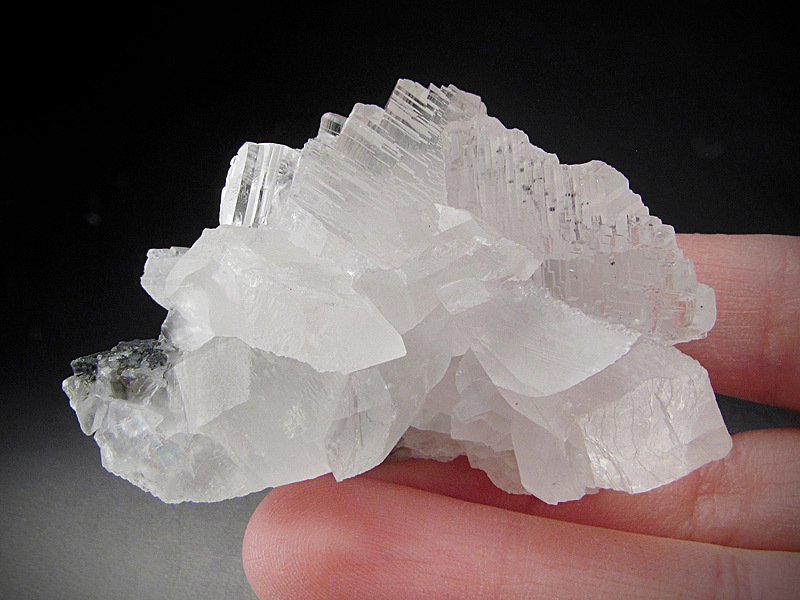 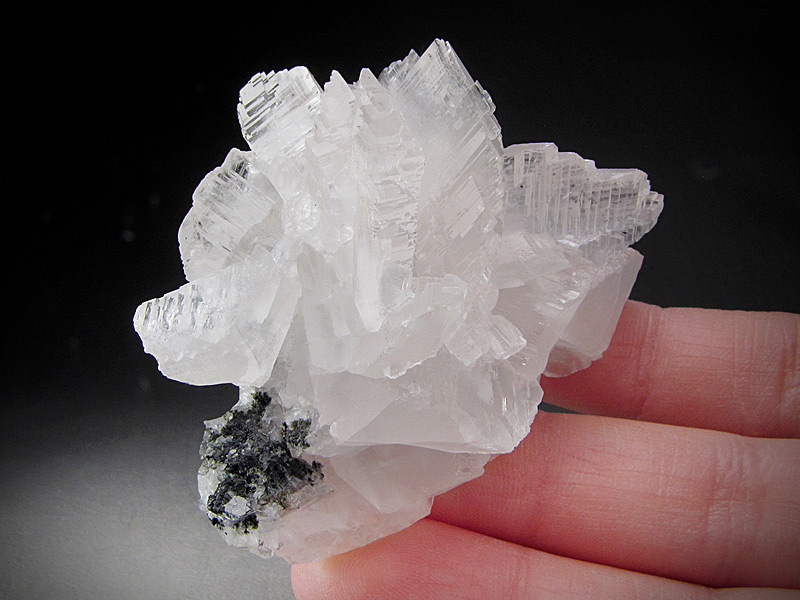 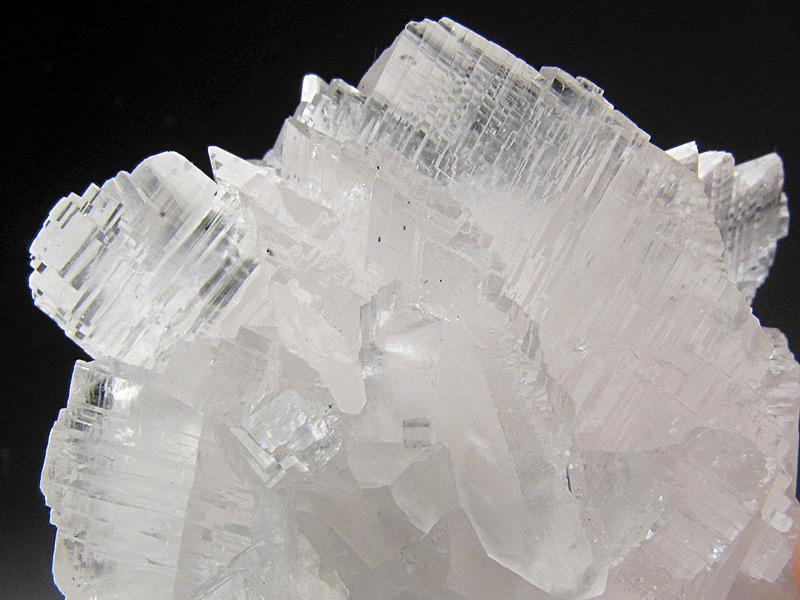 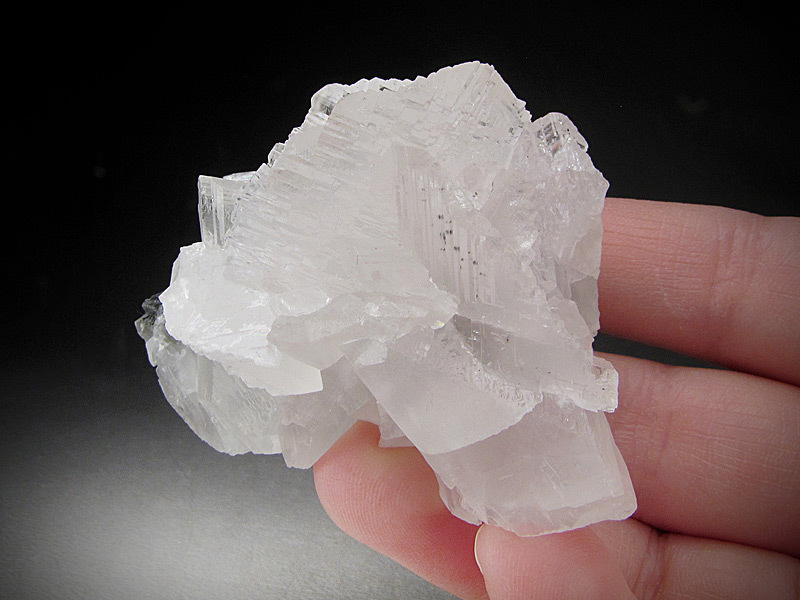 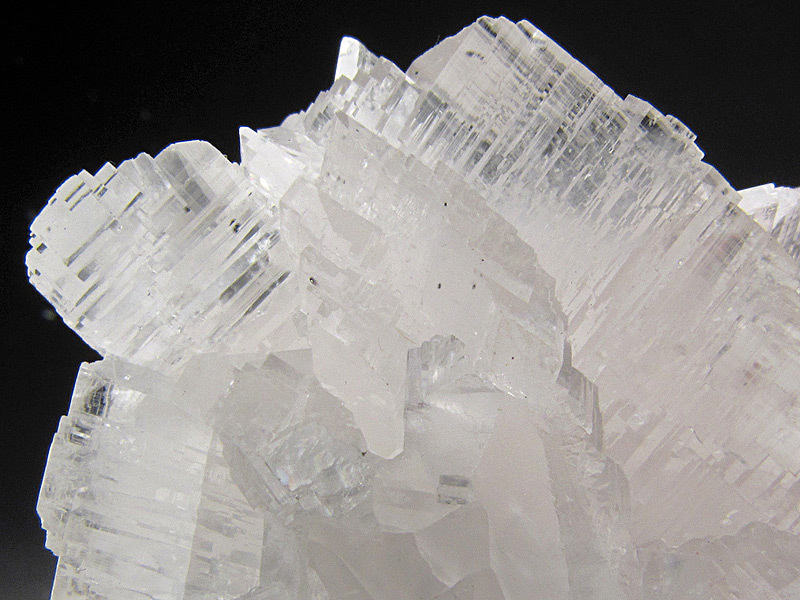 This is a cluster of lustrous, clear calcite crystals. 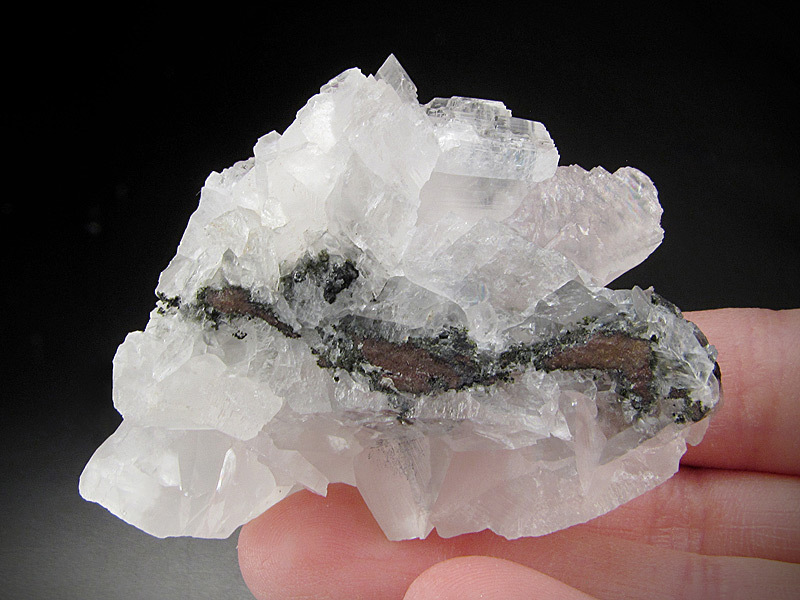 The overall dimensions are 5.8 cm wide by 4.7 cm tall and 3.6 cm front to back. 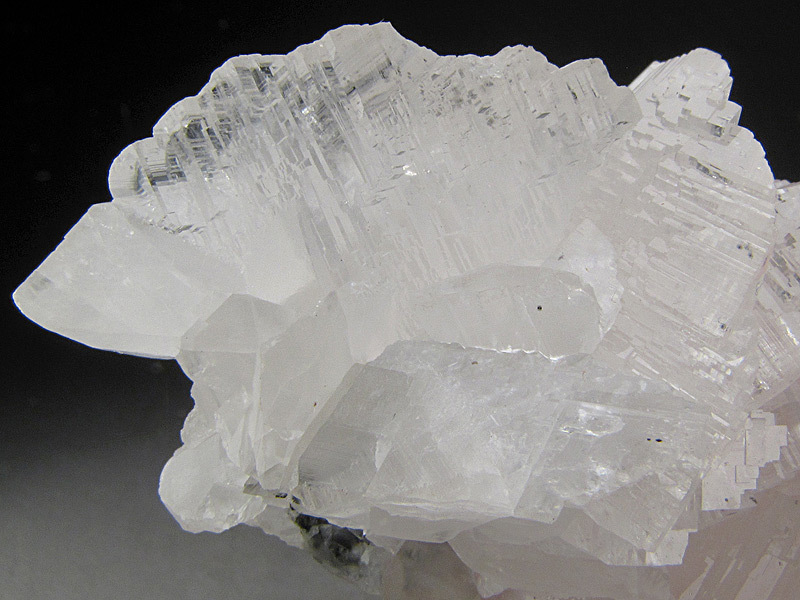 The locality is the Tsumeb Mine, Tsumeb, Otjikoto Region, Namibia. 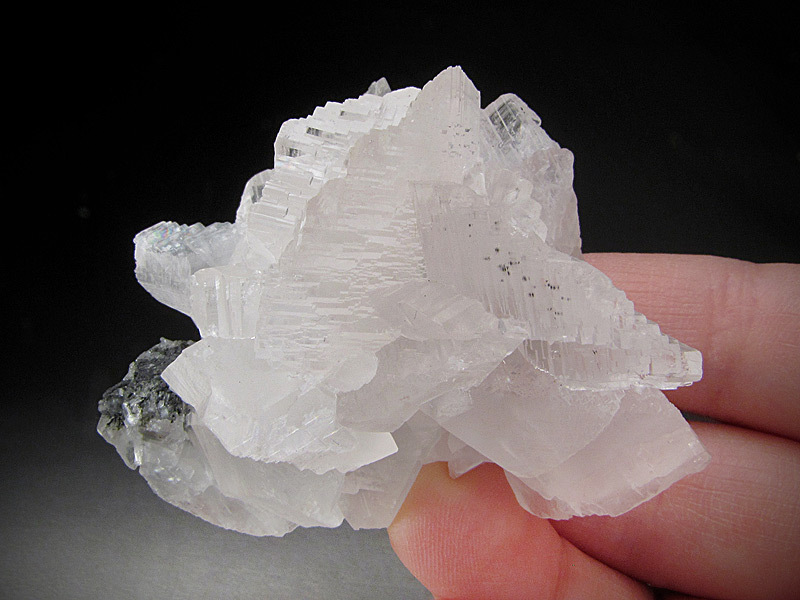 There is damage to some of the crystals near the edges.